Quality can be defined in several ways. Quality Assurance is the sum of the management activities that determine Quality policy, objectives, responsibilities and the research and development of Quality Control. Quality Control is the application of the operational techniques and activities that are used to fulfill and verify the requirements of Quality Assurance. To assure compliance with applicable construction codes, customer specifications, and our own Quality objectives we have developed Quality Control programs for all of our divisions, each of which is directed by a Quality Control Manual and an array of supporting procedures. The Pressure Vessel Quality Control Program encompasses codes such as ASME (American Society of Mechanical Engineers) and NBIC (National Board Inspection Code). 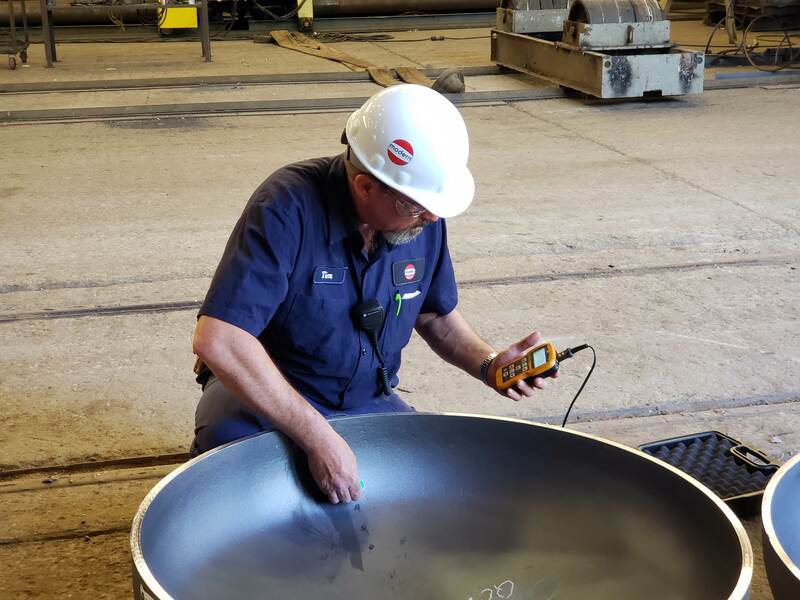 Structural Steel Quality Control Program includes codes such as AWS (American Welding Society) and AISC (American Institute of Steel Construction). The Quality Control Program for tanks covers codes such as UL (Underwriters Laboratories), STI (Steel Tank Institute) and API (American Petroleum Institute). Our greatest Quality Asset is our employees' high standard of Quality. Modern Welding Company's philosophy is to maintain a workplace where all employees can work together as a team to provide high quality products and services to its customers on time and at a competitive price. In order to comply with this philosophy, we have committed ourselves to pursuing technological upgrades, refining our existing processes, and continuous training of all departments. Our commitment to continuous quality improvement will assist us in meeting our customers' needs for many years to come.